Australia paid family leave: As the U.S. makes snail's-pace progress, they're regressing Down Under. 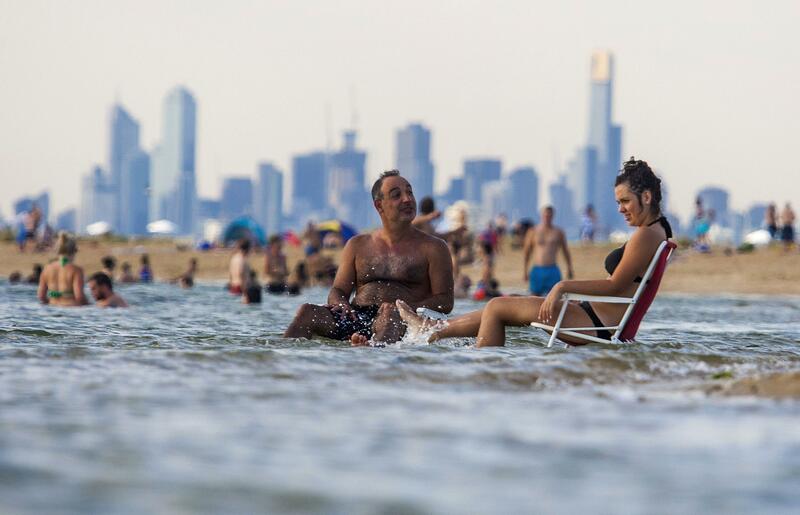 Brighton Beach in Melbourne, a notorious haunt of lazy double-dipping Australian parents. Earlier this year, the New York State Assembly passed the Paid Family Leave Act, which would require local employers to provide 12 weeks of paid leave at two-thirds salary. It’s a modest advancement, but also an exceptional one, since America is an embarrassment when it comes to paid parental leave. As John Oliver pointed out on Sunday, only the U.S. and Papua New Guinea do not give their citizens paid family leave. Australia was one of the last countries to leave this ever-dwindling group—it didn’t introduce paid leave until 2011. Now, it seems, Australia wants to turn its back on some of its leave policies. What’s more, the cuts were announced on Mother’s Day. Great P.R. move! Currently, Australian parents earning less than $150,000 a year are entitled to 18 weeks of paid leave at the Australian minimum wage. They may take this leave in addition to employer-provided leave, either concurrently or by using the state leave to stretch out their paid time off. So, for example, if your employer gives 12 weeks of paid leave, you could then tack that onto the 18 weeks from the government, and get 30 weeks of paid leave. Under the new cuts, women who have no employer-provided leave will still get the same government benefit of 18 weeks. But women whose employer-provided leave is as or more generous than government leave will get nothing. And if your employer-provided leave is less than the government’s benefit, the government will only make up the difference. This is particularly insulting to Australians because the government had previously promised six months of paid leave, an increase from the current scheme of 18 weeks. The Sydney Morning Herald estimates that almost 80,000 new moms will lose their government payments under the new policy. Watching this unfold halfway around the world is hugely dispiriting. It shows that even if we make progress on this issue in America, we can’t relax. We have to keep fighting.